Screen Queensland invites you to attend ‘In Conversation with eOne and Hopscotch Features’ followed by reception, Monday 6 July 2015 at Bond University – Robina, Gold Coast, 4.30pm – 7.30pm. Screen Queensland is delighted to welcome Jude Troy, Executive Vice President of Acquisitions and TV Development and Lucy Hill, Head of Acquisitions from eOne along with Maeva Gatineau, Hopscotch Features’ Senior Vice President of Production to Queensland. eOne is an international entertainment company that specialises in the acquisition, production and distribution of film and television content. Hopscotch Features is an Australian-based development and production company with strong distribution experience and which was created by Troy Lum, John Collee and Andrew Mason in 2009. RSVP: Please CLICK HERE to REGISTER via the Eventbrite page RSVPs close 9.00am on Monday 6 July 2015. Catering: Light canapés and soft drinks will be provided for all guests after the panel discussion. A cash bar will be available to purchase alcoholic drinks. eOne and Hopscotch Features will also be available by appointment for one-on-one producer meetings on Tuesday 7 July 2015. To request an appointment with Jude Troy and/or Lucy Hill (eOne – distribution), please email screenqld@screenqld.com.au. To request an appointment with Maeva Gatineau (Hopscotch Features – production), please email screenqld@screenqld.com.au. Should you have any questions, please contact: screenqld@screenqld.com.au or phone 07 3248 0500. Recently promoted to launch the local TV development and production arm for eOne Australia, Jude spent the last decade as Managing Director of eOne and Hopscotch Home Entertainment which, in its eleventh year of operation, boasts a library of over 300 titles. A former partner in Hopscotch, Jude has grown the business dramatically using her acquisitions acumen to broaden and strengthen the slate beyond theatrical titles to include top-rating TV on DVD, cutting edge documentary and classic and cult film re-issues. Jude is currently working with local talent, Hopscotch Features and eOne Television to develop further content for television and home entertainment both in Australia and internationally. She was an EP on the recently released feature doc All This Mayhem which won three AACTA awards. Jude also plays an integral role in the eOne Films theatrical acquisitions. Jude has also previously enjoyed a successful career building the DVD business at Shock and in marketing and promotions with EMI and Polygram (Universal) and was a former news journalist and features writer both in Melbourne and London. Lucy is the Head of Acquisitions for Entertainment One Australia. Starting at Hopscotch Films in 2007, Lucy moved entirely into acquisitions and production in 2009. In the role of Acquisitions Manager at the company, she was actively involved in the acquisition of such films as The Kids are All Right, The Sapphires, Satellite Boy, The Butler, Philomena, The Broken Circle Breakdown, Pride, My Old Lady and ’71. When Hopscotch Films became Entertainment One Australia in 2011, Lucy continued to coordinate the acquisitions strategy for Australia, as well as working with the international sales teams, the worldwide acquisitions team, the production team and the other acquisitions teams across eOne to devise a cohesive worldwide acquisitions and distribution model. 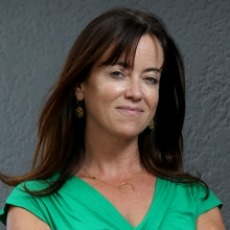 Lucy has also acted as Production Coordinator on several projects including acclaimed Australian artist Emma Magenta’s the gradual demise of phillipa finch for the ABC, and as Development Manager within Hopscotch Features, a joint venture between Hopscotch principal Troy Lum, producer Andrew Mason and writer John Collee, working on such films as Saving Mr Banks and The Water Diviner. Maeva is the Senior Vice President of Production for Hopscotch Features where she manages the production division, oversees development, and sources independent productions. Maeva’s previous roles include Co-Head of Worldwide Acquisitions and Co-Productions at The Weinstein Company (TWC), and French consultant for TWC on such films as The Artist, Untouchables, Silver Lining Playbooks and Philomena. 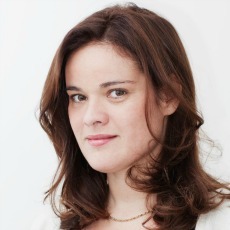 Maeva is also an independent producer through her partnerships with Source Films in France and M&A in Brazil, where she is developing local productions. 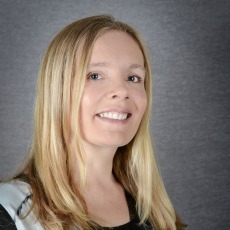 Jo Dillon joined Screen Queensland as Head of Development & Production in August 2014. 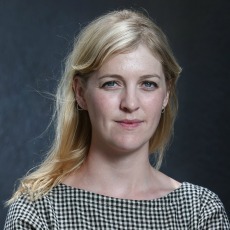 She has developed screen stories in Australia and the UK for more than ten years – working on hundreds of projects and reading thousands – most recently as a Development Executive for Screen Australia. In the UK, Jo was also Head of Development at Emmy-winning production company Yipp Films, having developed factual narratives for network television and establishing the company’s first drama slate. She also went on to work as a script and story consultant developing feature films, shorts and documentaries for independent producers. Entertainment One (eOne) established its Australian and New Zealand presence in 2011, eOne officially announced its expansion into television development and production in earlier this year. Their upcoming theatrical slate includes the acclaimed Amy Winehouse documentary Amy, Woody Allen’s latest Irrational Man and favourites for Oscar nominations, Spotlight, Freeheld, and Three Generations. eOne continues to support Australian films and explore innovative market strategies to maximise results – from All This Mayhem, The Little Death and The Mule through to the critically acclaimed Charlie’s Country and breakout hit, The Sapphires. Through its international sales arm, eOne has brought films like Dark Horse, The Mule and Animal Kingdom to international audiences. The newly established TV division is working with Goalpost on Cleverman (ABC), Robert Connolly on The Athletes (ABC) and its international arm backed Essential Media’s Broken Shore for global sales. Their TV portfolio also boasts the AMC Sundance slate which Includes The Walking Dead. Also in the family is the hugely successful children’s franchise, Peppa Pig. Hopscotch Features’ first production, Anne Fontaine’s Adoration, starring Naomi Watts and Robin Wright, debuted at the 2013 Sundance Film Festival and was followed the next year by I, Frankenstein, adapted and directed by Australian’s Stuart Beattie, starring Aaron Eckhart and Bill Nighy. Hopscotch Features developed Saving Mr. Banks with Essential Entertainment and Ruby Films, which was released by Disney in 2014. The true story of Australian author Pamela Travers who created Mary Poppins, the film starred Emma Thompson and Tom Hanks, was nominated for an Oscar and made over $100 million dollars worldwide. Hopscotch Features’ most recent production, The Water Diviner was officially released on Boxing Day 2014 and is Russell Crowe’s feature directorial debut. This extraordinary tale of love, faith and heroism explored the personal cost of war, starred Russell Crowe, Olga Kurylenko, Yilmaz Erdogan and Jai Courtney and won numerous awards at the AACTA awards, including tying for Best Film. In just six days The Water Diviner became Australia’s highest grossing film for 2014 and has since grossed more than $15 million at the Australian box office.